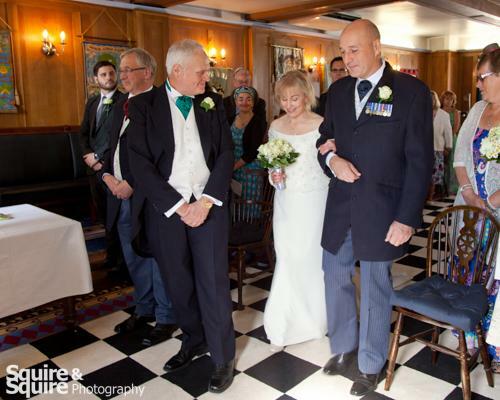 Back on the 29th August I provided the wedding photography of Kevin and Nicole at the Alderson House in Warwick. 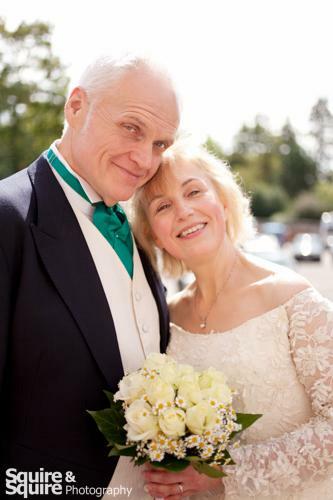 It was a lovely day and even after a week of unsettled weather the sun came out for a perfect sunny wedding day. 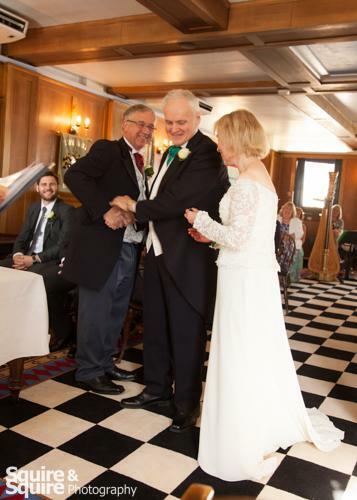 Alderson House in Warwick is ideal for small to medium size weddings; its usual purpose is the meeting lodge for the Provincial Grand Lodge of the Warwickshire Masons. Set in a Georgian town house on Warwick High Street, the venue certainly has lots of character and space making it ideal for small to medium size weddings. 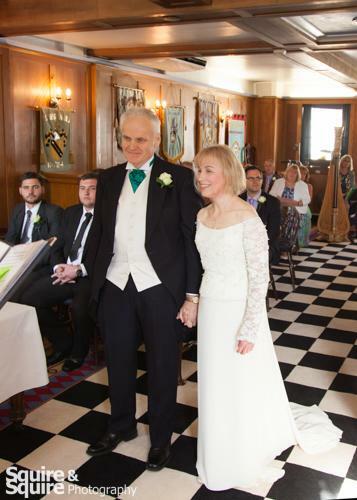 The ceremony was held in the Masonic Temple which is very grand as one might expect, then there was has an attractive garden for drinks and elegant dining room for the wedding breakfast. For the wedding photography I was booked for two hours coverage. I have covered many wedding for two hours, the package suits small to medium weddings. It is surprising how much can be captured in this time. 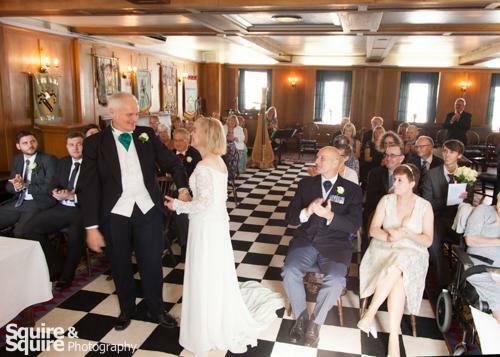 I arrived at 10.00 to photograph the dining room, the groom and groom men, and then made my way upstairs to photograph the harpist, the guest arriving and the general scene, at 10.30 the ceremony started up until 11.00 am. After this I was doing casual portraits and groups, then a mock cutting of the cake then finally back outside for the bride and groom portraits with me finishing at 12 noon. Our two hour wedding photography package costs £300.00 including typically 70 – 150 images edited to a high standard copy right free. The variance in image numbers depends on how many people are at the wedding. These images are then presented on disk with a leather or fabric presentation sleeve available in a wide range of colours, with an image mounted on the outside.